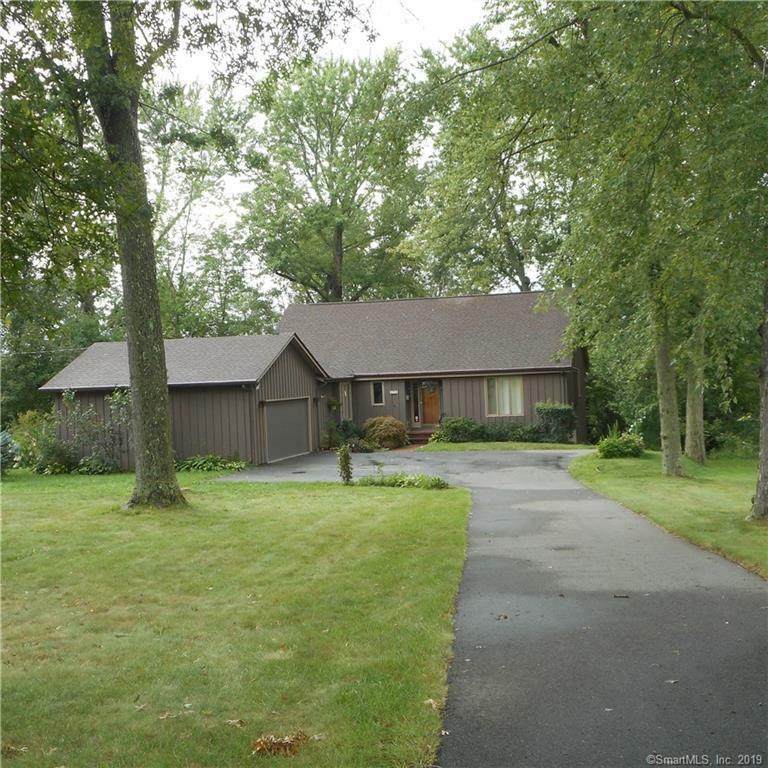 Classic Custom Built Cape Cod home conveniently located near the Wallingford Country Club, Choate School, Town Center, Stores and easy highway access. Features Formal Living room with fireplace and Built-in Book shelves, slider to private deck, Formal Dining Room with Built in Buffet with wet sink, Eat-in Kitchen with Breakfast Bar and generous cabinetry, First floor Laundry room-Pantry, All season Sun Room, 4 Bedroom includes a First floor Master Bedroom suite and 2.1 Baths. Central AC keeps it cool in summer and cozy fireplace ideal for cold months plus attached 2 Car Garage, private deck with panoramic view of mountains and rear yard ideal for relaxing and entertaining. Walk in Attic on second level could be potential 5th Bdrm. or office/media space.